If you have ever been to USA or are a traveler at heart, you already know that Washington D.C. is best known for its memorials and monuments. The monuments and memorials are built in honor of the politicians, statesmen, generals and poets – the people who played a significant role in shaping the nation. 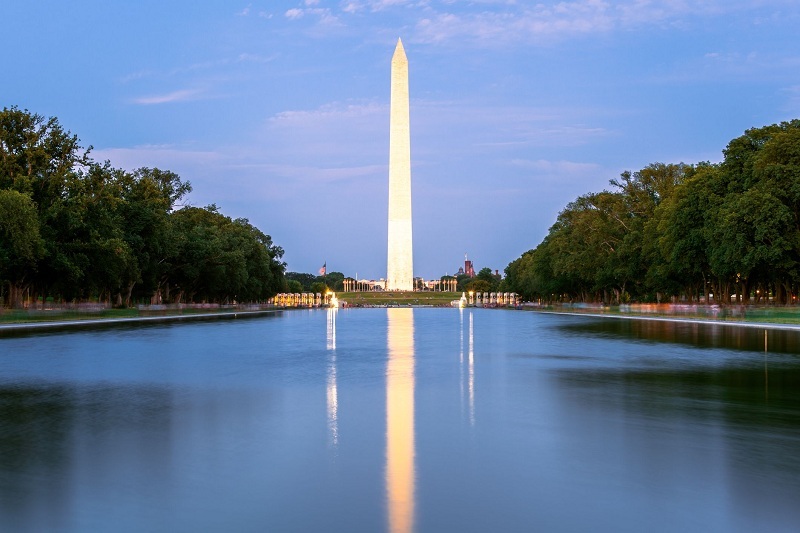 There are several famous buildings across the city and a tour to Washington will bring you immense joy and surprise as you unveil the stories behind these historical monuments. We have discussed some of the most popular monuments and memorials in Washington DC. Choose the first place you would love to stop by when in the city. The open-air, circular memorial was built in commemoration of the 26,000 Washington citizens who gave their lives for the nation during World War I. Built using Vermont marble, the giant structure has the capacity to accommodate the U.S. Marine Band. As the name suggests, this grand site was built in memory of Franklin Delano Roosevelt, the 32nd US President and an American statesman. His memorial has four divisions as outdoor galleries with respect to his tenure as the President from the year 1933 to the year of his death 1945. Located along the beautiful Tidal Basin, the memorial is also accessible to the handicap. You will find several other sculptures in name of the 32nd President of the USA. Of all the memorials in DC, it is a peaceful adobe built in commemoration of the American soldiers who served during the World War II. The memorial is built using bronze, granite and water elements with a marvelous landscape offering serenity. People even book last minute flights to USA and if you are one of them make sure you get your pay off by visiting this memorial. This memorial built in honor of the 3rd President has a bronze statue of the then President Jefferson almost of a height of 19-foot. Situated along the Tidal Basin, it is one of the most popular memorials in Washington DC. The statue at the memorial is surrounded by passages whereas grove trees surround the memorial making it a beautiful sight for the onlooker during spring. You will also find a museum, public restrooms and bookstore in the vicinity of the memorial. USA, as a nation, believes in honoring the martyrs, convicted, captured and men who went missing serving in the Korean War during 1950-1953. The Korean War Veterans Memorial is an evidence of the respect showed to the veterans of the war. The memorial has 19 figures representing each ethnic background. These figures or statues stand with the support of a large granite wall having around 2400 faces of sea, land and some air support troops. You will find a Pool of Remembrance listing the names of the persons who went missing from the Allied Forces. When on the monument tour in Washington DC, do not forget to visit the most-visited Lincoln Memorial. It was built in honor of President Abraham Lincoln in the year 1922. There’s a large statue of Lincoln in sitting posture on a marble base of height 10 foot surrounded by Grecian columns, engraved readings and murals by Jules Guerin, a famous French painter of that era. While you stroll down the walking path, there’s a reflecting pool lined by shady trees giving you an outstanding view. No matter you book business class flights or economy class, a visit to the USA means a mandatory visit to the Lincoln Memorial. Another memorial situated on the Tidal Basin is the Martin Luther King Jr. National Memorial. It was built to honor the international and national contributions of Dr. King and his visions for the citizens to lead a life of justice, opportunity and freedom. There’s a 30 foot statue called “Stone of Hope” – the statue of Dr. Martin Luther King Jr. with an inscription on the wall. The inscriptions read the excerpts of his public addresses and sermons. It is a memorial worth a visit when in the capital. This memorial has a granite wall in shape of a ‘V’ with the names of the missing or killed Americans during the Vietnam War inscribed on it. The total number of names inscribed is around 58,286, just imagine the loss the nation survived! You will also see a life size sculpture of three servicemen made of bronze and situated across the beautiful lawn. Washington Monument is a memorial built in commemoration of the first President of the USA, Sir George Washington. The memorial has been regularly renovated and refurbished to maintain its splendor. You can get to the top of the memorial through elevator to have a mesmerizing view of the city of Washington DC. Being one of the most popular monuments in the capital city, you need to make advance reservations for a visit. The historic war of Vietnam took put thousands of lives at stake and lost many. This memorial is amongst the best buildings and monuments of Washington DC as it honors the women who played a role in the Vietnam War. The sculpture was constructed in 1993 and is an element of Vietnam Veterans Memorial.